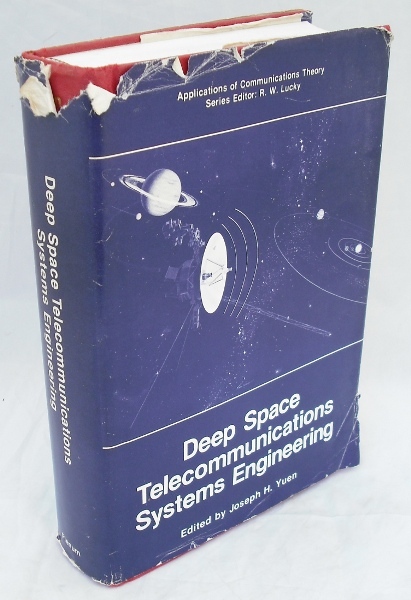 Significant volume examining various aspects of deep space communications including The Basic Fundamentals of phase-locked loop and costas loop receivers; Radio Tracking systems; The Telemetry System; Command system; Spacecraft radio frequency system; Spacecraft antennas; Space shuttle and tracking and data relay satellite systems. Dust jacket has numerous tears to extremities with minor loss. Red cloth boards are clean and prim. Contents clean and bright. A very good volume in a fair dust jacket.